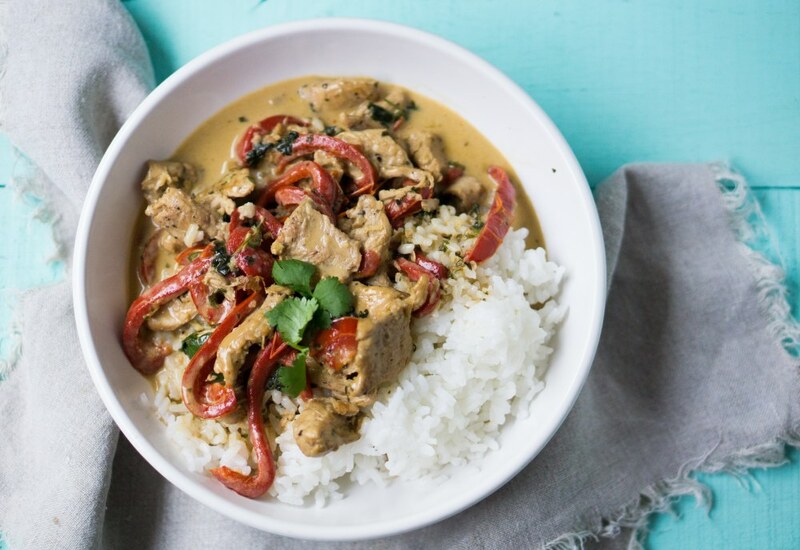 This Thai-inspired coconut chicken is a one-dish meal bursting with flavor. 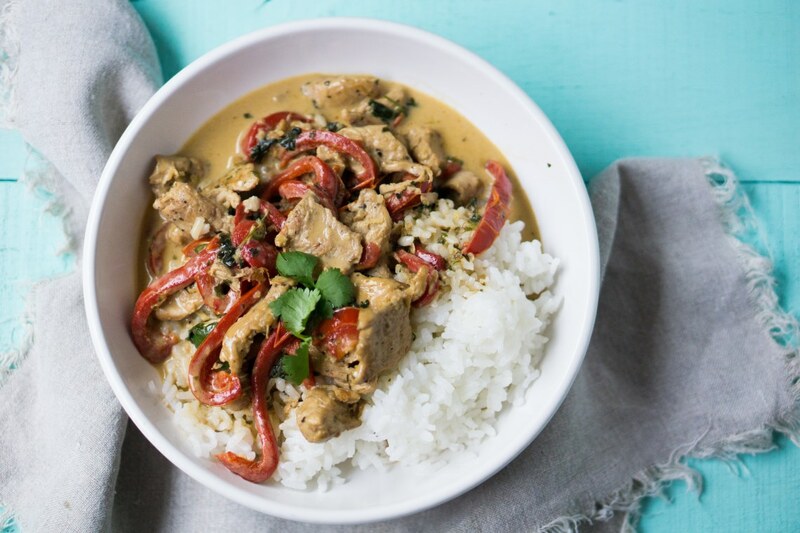 Healthy and naturally gluten-free, this recipe is ready in 30 minutes. Serve it alongside hot white rice for a complete meal. If gluten is a concern, switch out the soy sauce for a gluten-free alternative such as tamari. Per Serving: 715 calories; 56g fat; 16.3g carbohydrates; 43g protein; 102mg cholesterol; 266mg sodium. This is a solid, if simple, stir-fry. I used a serrano pepper. It was what I could find. I have to admit that I did not use the same chile here, because I've never seen one fresh (to my knowledge) and prefer the Fresno chile in my thai food. Made this for my own lunch one day because being a small-town Michigander somehow led to me feeling like Thai was my "comfort food." The zest did okay, but I think next time I might use some juice too and maybe flip the soy sauce for some fish sauce. The soy simply doesn't quite bring as much to the party as does fish sauce. Try that, too! Made this dish using tamari instead of soy sauce. Love the different gluten free options. The coconut chicken was fantastic, and paired perfectly with rice. I also added some Thai red curry. Made Thai coconut shrimp instead of chicken. 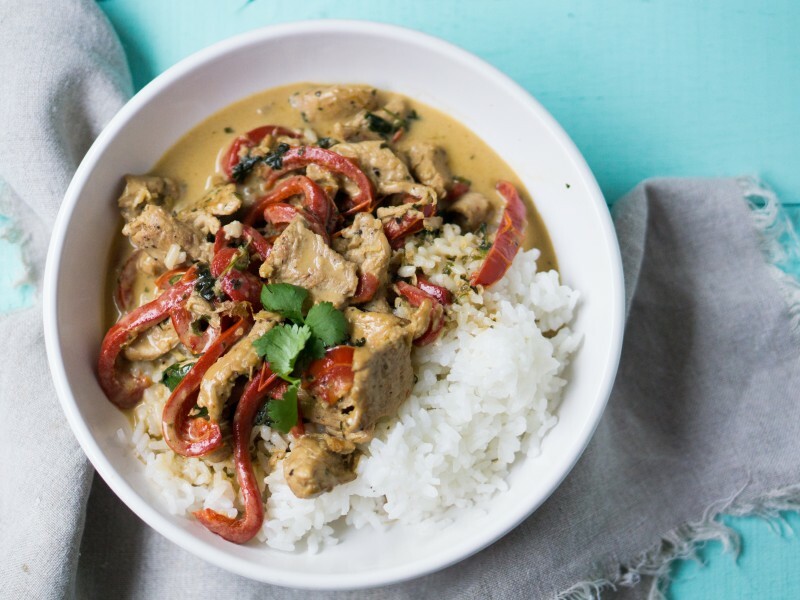 So much flavor and perfect when served with Jasmine rice. Only thing I changed was I left out the brown sugar. Tamari was the perfect alternative for soy sauce. I used dried cayenne instead of chile de arbol, it usually works well as a substitute. Perfect recipe, especially with basmati rice.